This is not an exhaustive list of all libraries using LibGuides CMS as a website. Rather these examples represent only institutions who have been explicitly contacted about being featured in this guide. the Image Manager is indispensable for us! 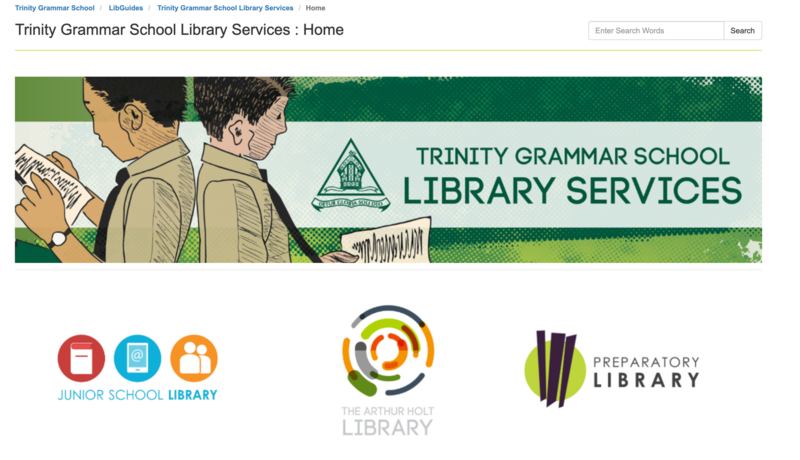 We've been using LibGuides for a few years now and when we saw the chance to move from our old site which was built from scratch using Dreamweaver, we jumped at it! At last there was a bespoke tool for librarians that we could all use without having to learn HTML coding. The ability to easily add book covers using the ISBN to our reading lists and clickable icons to audiobook, eBook and movie versions is just fantastic and so easy! No uploading pictures! The support from Springshare is excellent, even with the 18 hour time difference and the Springshare lounge provides a great venue for sharing ideas. 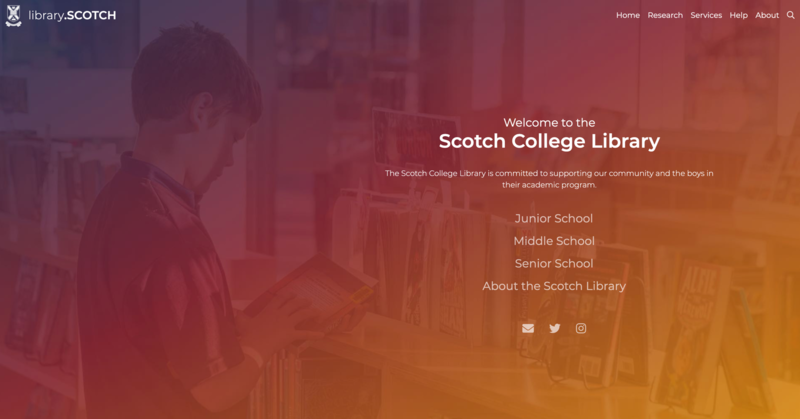 This past June, I took over the position of Library Director at Berkshire School in Sheffield, MA - a co-ed, New England college preparatory boarding and day school. I have been a loyal LibGuides enthusiast for 12 years and one of my first big projects at Berkshire was to bring LibGuides to the community. 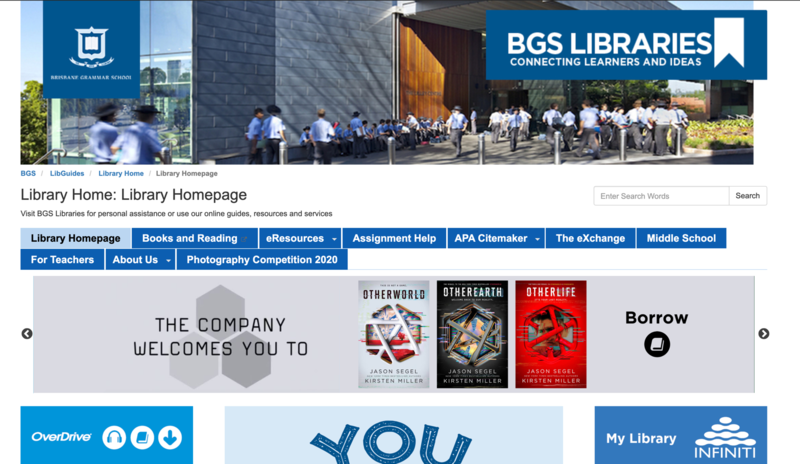 I was looking to create a website portal for our guides and discovered that LibGuides CMS had the power to help me make that happen. 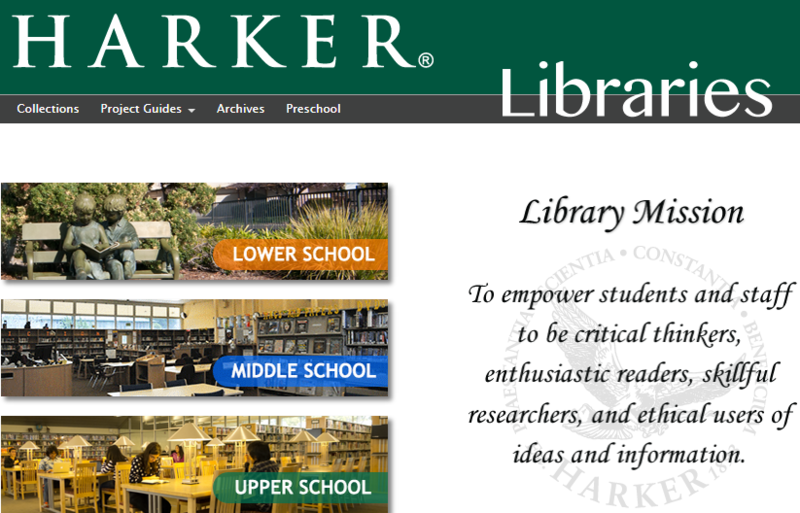 Previously I created my library website in Dreamweaver and had it hosted on an independent server. 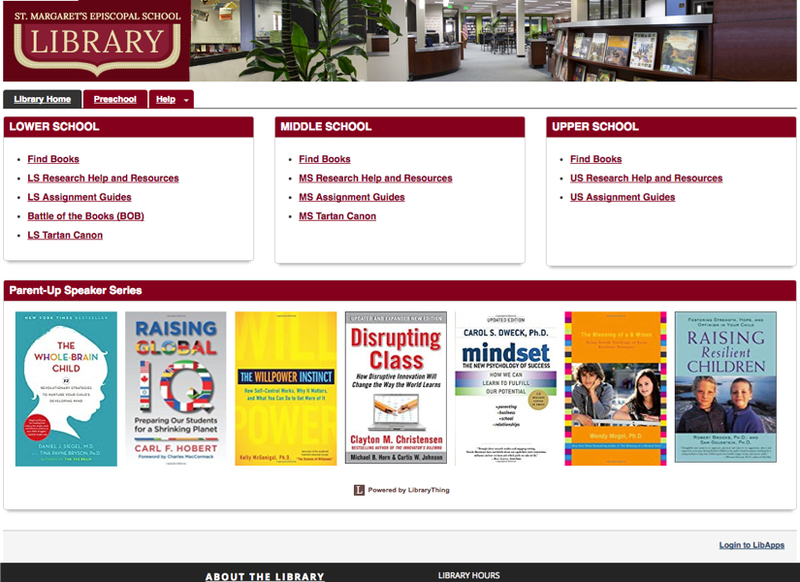 Having my LibGuides and website on the same platform has been transformational. There is a continuity in design and I can manage both resources on the backend. Brilliant! I love the ability to write HTML and CSS to create the look and feel I want. There were a number of times when I was stuck on a specific feature, and the support (and solutions) I received from the folks at Springshare made it possible for me to make those design changes. As always, the Springshare Lounge is an essential support system as well. While I may not have the same issues as the ones being discussed, I always come away more knowledgeable about some feature - it's truly a great PLN for me. The widgets for my LibraryThing slideshow and my Twitter account make it so much easier to make changes on those platforms without having to change the code for the widget. I love how easy it is to manage my assets. The A-Z database is terrific as is the ability to pull in assets instead of copying boxes. This feature makes creating new guides a breeze. The ability to use bootstrap code so my larger boxes are a responsive design - I no longer need to use tables and worry about how they will look on mobile devices. We saw several university websites built on the platform and liked the way they looked and functioned. We then realized that with LibGuides CSS customization we could design our own. Using LibGuides is preferable to re-building our portal on the School’s existing content manager. 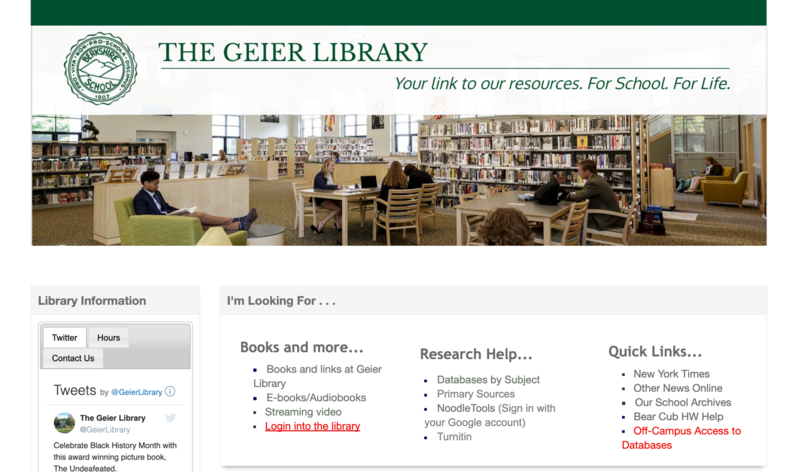 We liked that LibGuides is library-centric and can be maintained by librarians with little or no coding skills. What features of LibGuides CMS assist you in power your website? autonomous in building these beautiful resource guides. One of my librarians quips Springshare makes us look like rock stars! We are using LibGuides CMS as we love the fact that the LibGuides platform is so easy for all our staff to use. This is very important to us as our webpages are a joint effort and one or more of our staff is continually updating them. Each time we use LibGuides, we find our ability to convey information is really only limited by our imagination. Our webpages serve as a collection/curation point for a wealth of other applications, which are easily displayed or linked to using media widgets, and this has helped us to create a rich but compact source of information for our students. LibGuides CMS provides me with flexibility in design and with the integrated services such as databases, forms, surveys, etc. I am able to use one platform that handles all of my library needs. For us, LibGuides CMS and Springshare is going to be our one-stop shop for the foreseeable future and we have a lot more releases coming in the future. One aspect that cannot be overstated is the ability to provide for more than one platform through one service. It is our ability create one page that allows users on any platform to access our materials with no compromise on look and feel and most importantly the user experience.